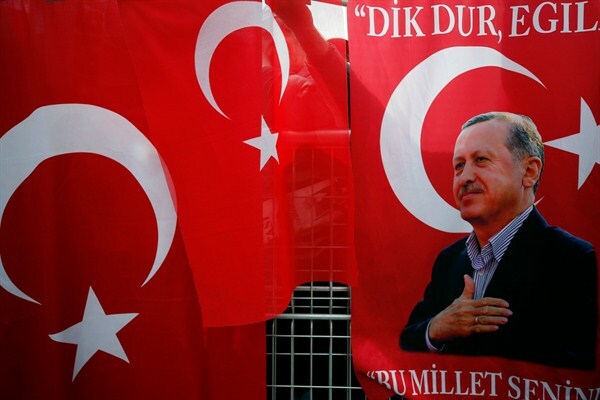 Is Bashing Europe Erdogan’s Winning Ticket Ahead of Turkey’s Referendum? Turkish flags and posters of Turkey's president, Recep Tayyip Erdogan, at a rally in support of a referendum on constitutional reforms, Istanbul, April 8, 2017 (AP photo by Emrah Gurel). It is not very often that a candidate country admonishes the organization it wants to join. Yet that is the story in Turkey, where President Recep Tayyip Erdogan has gone on a series of tirades against the Netherlands, Germany and the European Union at large ahead of a referendum this weekend on constitutional changes that would grant Erdogan more powers and transform Turkey’s government from a parliamentary to a presidential system. Turkey has been stuck in accession talks with the EU for over a decade.